"The tires got here extremely fast and were exactly as described. It is nice having a great company to deal with." Comprised of over 18 ingredients, the P4 Four Seasons Plus features an innovative tread compound offers the perfect balance of high mileage and all season performance. 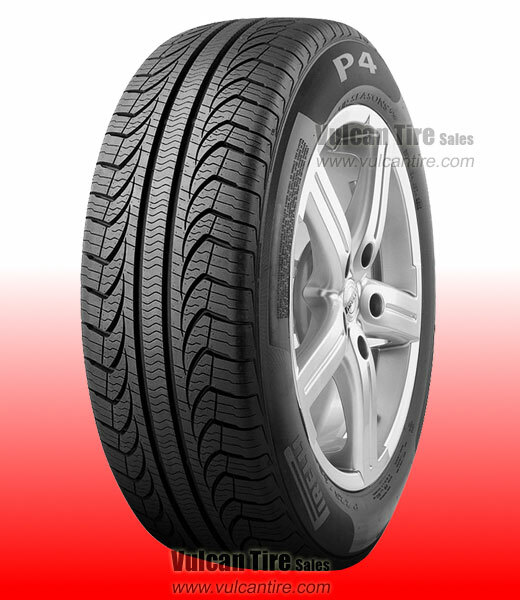 The P4 Four Seasons Plus features a tread pattern designed to provide ultimate ride comfort, reduced noise, high mileage with excellent traction in wet weather and snow conditions. CAD optimized tread profile and compound for high mileage. Computer designed siping for maximum traction in wet and snow conditions. Two central longitudinal grooves provide maximum water expulsion. Innovative tread compound tread compound for rolling resistance and all weather performance. I have not driven enough miles to know how good these tires will last or ride.